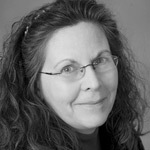 Valerie Shanks is Production Designer for Hallmark. She has been doing ornament designs since 2007. Valerie has designed many of the recent Star Trek ornaments. View other Valerie Shanks ornaments below. Read more about Valerie Shanks at Hallmark.com.